Evening bloggers. What a lovely day its been today with the sun out for most of it. Can't ask for anything better. Tonight I have a card I did for our Son's birthday last month' Hope you like. Image - Car from Vintage set of cars bought from The Range - possibly Papermania?! 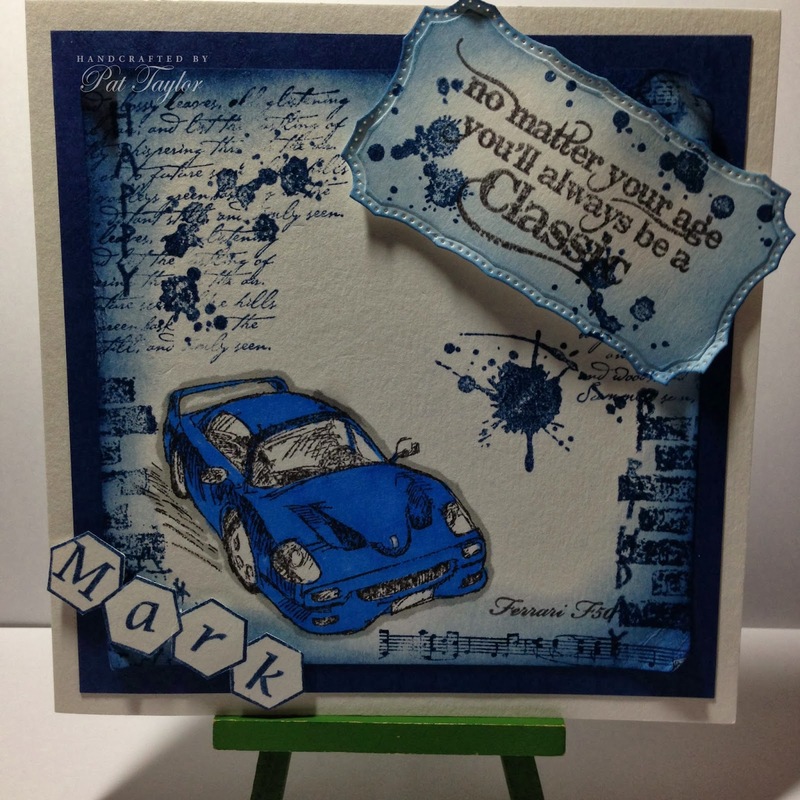 Hi Pat, what a gorgeous card, love the car and blue is just perfect. This is fabulous Pat, love the background and the sentiment is brilliant. Gorgeous fun card. The sentiment is great and the colors. Love that car image and the colours - fabulous man's card.